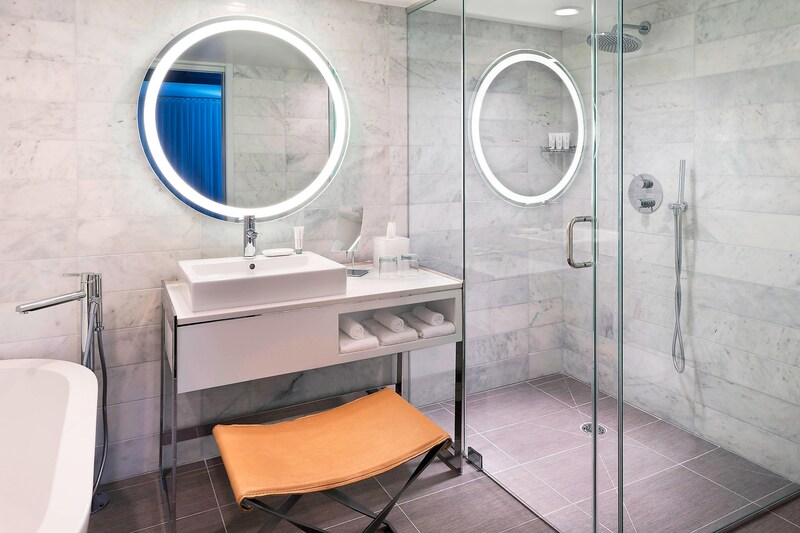 Stimulating stays for both business and leisure guests are encouraged by the thoughtful design of our 172 guest rooms and suites, including luxurious spa suites. 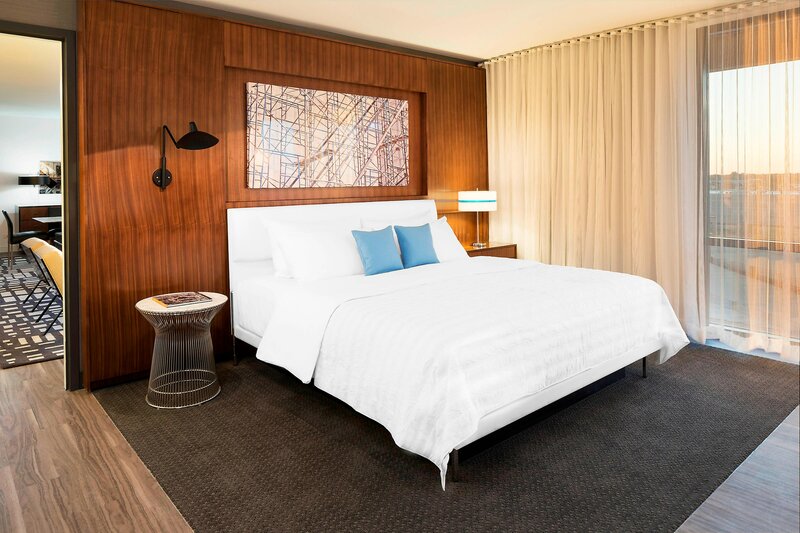 Ample space allows for inspiring artwork and state-of-the-art technology. We welcome dogs to stay at the hotel. There is a $25 per night fee. 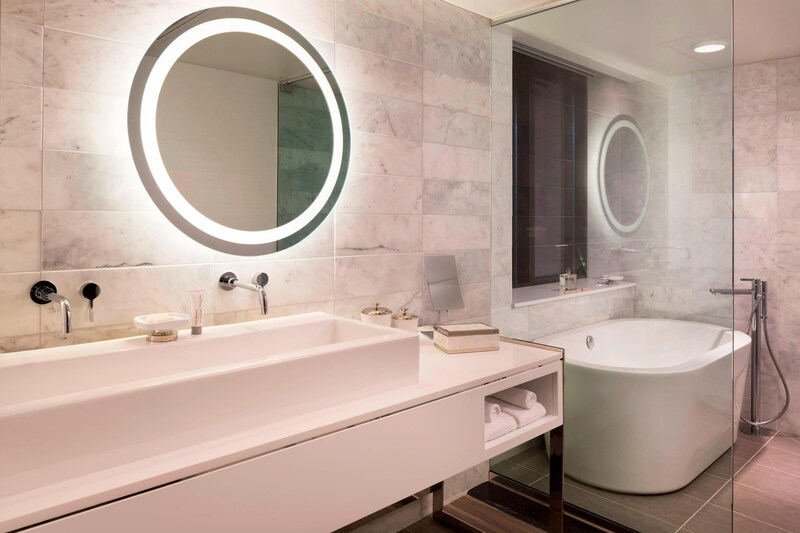 Our extraordinary Presidential Suite features a spacious floorplan designed for meetings/business and/or entertaining. 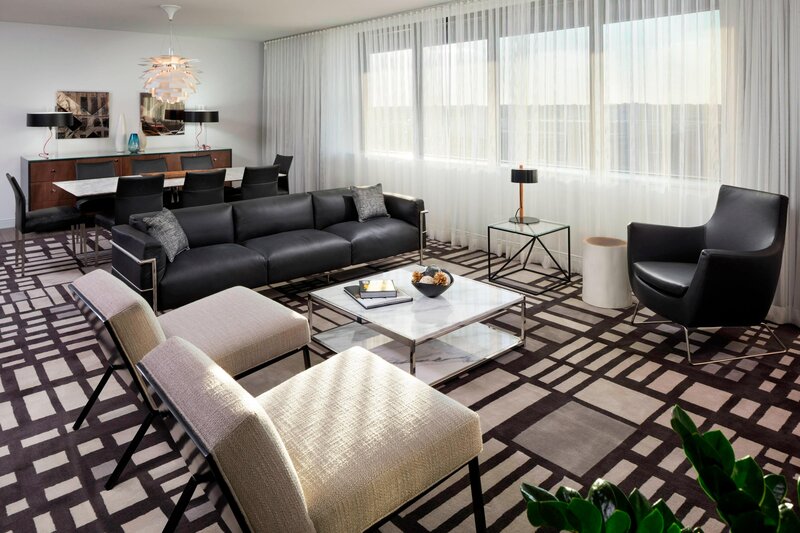 Guests enjoy a chic living area, 48-inch LCD TV, dramatic artwork and a board table for eight. 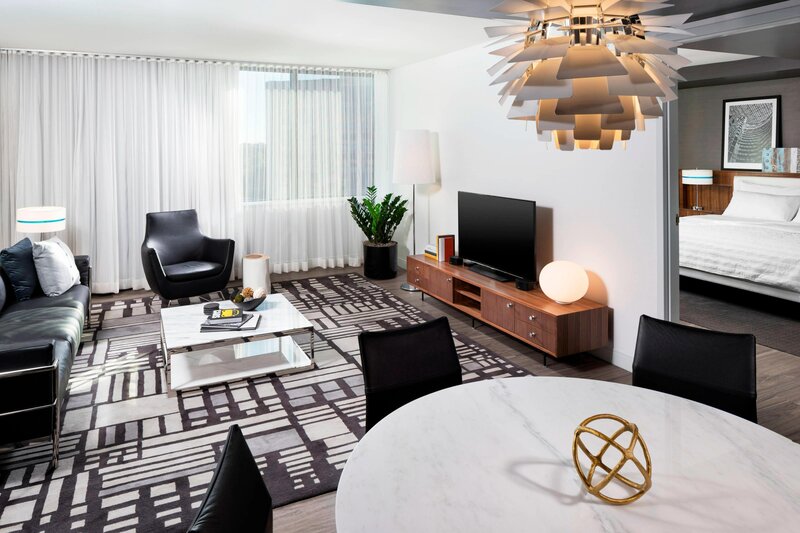 Striking in its spaciousness and design, Executive Suites feature an open floor plan that allows you to move about freely. Relax in a living area with original works of art and enjoy views of Spring Road and Oakbrook Center.